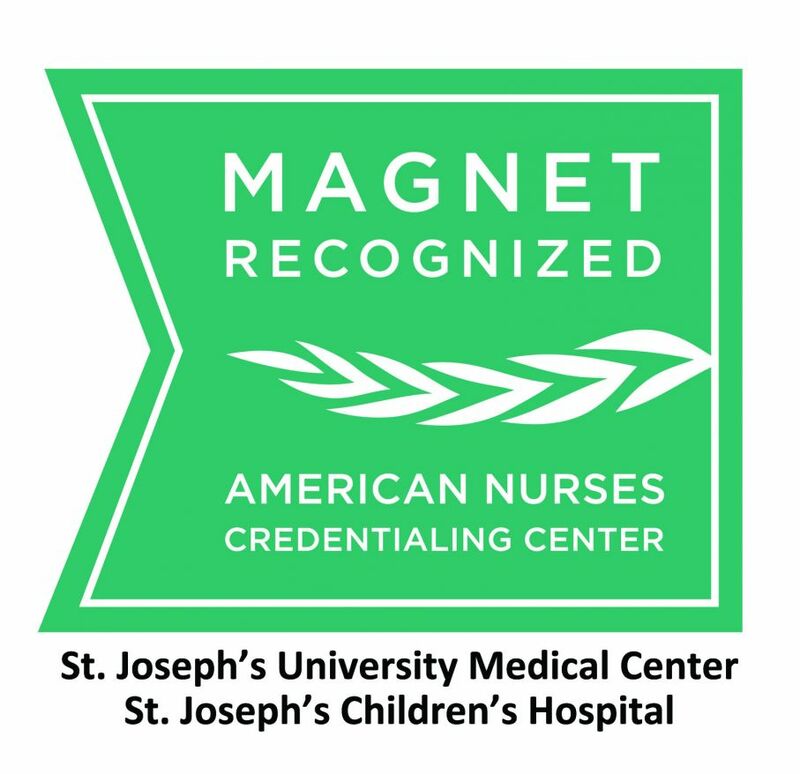 St. Joseph’s University Medical Center, which includes St. Joseph’s Children’s Hospital, has again achieved Magnet® designation as part of the American Nurses Credentialing Center’s (ANCC) Magnet Recognition Program. ® Just 12 hospitals nationwide have achieved this honor for nursing excellence for the fifth consecutive time, spanning 20 years. The credentialing program recognizes excellence in nursing and is the highest honor an organization can receive for professional nursing practice. More than 800 nurses work within St. Joseph’s University Medical Center and St. Joseph’s Children’s Hospital. Committed to nursing excellence and professional development, they present research on local, regional and national levels. Nursing at St. Joseph’s is at the forefront of innovation to design evidence-based solutions to meet our community’s health needs. Magnet recognition has become the gold standard for nursing excellence. To achieve Magnet status, organizations must pass a rigorous and lengthy application and on-site process that demands widespread participation from leadership and staff. The Magnet Model is designed to provide a framework for nursing practice, research, and measurement of outcomes – all elements that are deemed essential to delivering superior patient care.